Embedded Vision technology often has specific requirements that only a custom solution can solve. The FRAMOS EV ecosystem works as a mix & match tool kit paving an accelerated way building vision products. 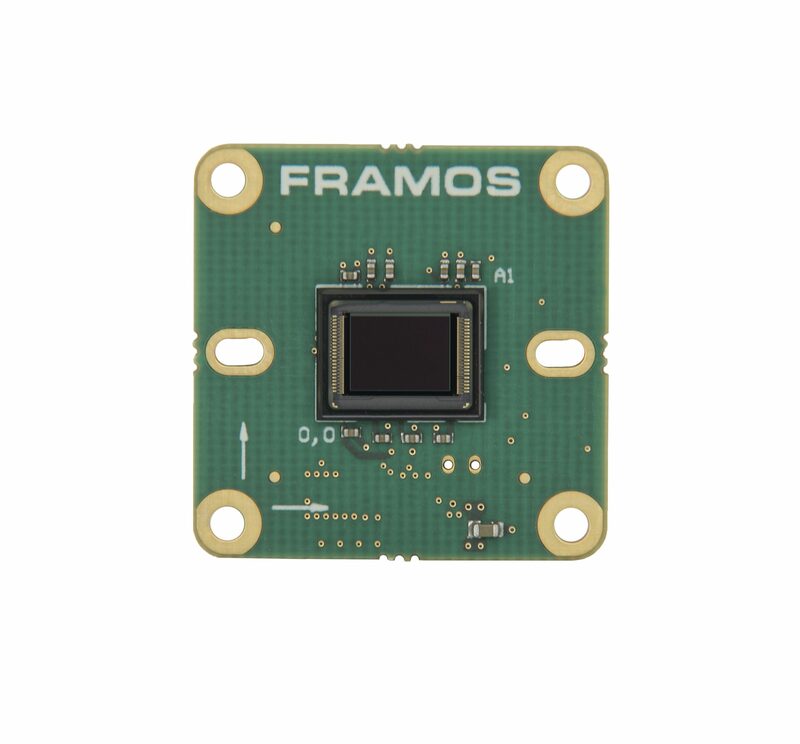 The FRAMOS FSM series of sensor modules is made of pre-existing Sony and ON Semi sensors placed on a PCB with a standardized connector with proper circuit conditioning to get the sensor up and running very fast. The FRAMOS modules also can be ordered with a lens mount and a matching lens. The modules footprint is 26.5 x 26.5 mm, connected via a Hirose 60pin on the bottom side and equipped with 4 holes for mounting the FSM. There are two M12 lens options available as well as a broad range of sensors from VGA resolution up to 12 Megapixel. With the mating FRAMOS ecosystem components, the sensor modules are ready to be integrated and can capture images immediately. No matter what data interface is provided by the sensor, the FRAMOS FSA series of sensor adapter boards can translate it into a common signaling interface through a standardized FRAMOS connector. For greater development flexibility, the FSA adapter boards are designed to work with both FRAMOS and 3rd party sensor modules. The FRAMOS FPA series of processor adapter boards provide the link between the imaging to the processing side. The FPA adapter boards open up the sensor module portfolio to work with a large number of processor development boards, like NVIDIA Jetson TX2, Qualcomm DragonBoard, just to name a few. With 37 years of vision experience, FRAMOS supports industrial customers, OEMs, system integrators and researchers overcome the challenges in enabling machines to see. Whether it is about selecting individual components or creating complex vision systems, FRAMOS serves clients with a broad range of components and modular design platforms. Vision solutions can be developed very quickly to help create innovative embedded products and get them to market faster.